In the past, we have shown you how you can easily add the Google Street view map in blogger, And in this I will show how you can add the google maps to your Blogger blog, It is very useful to display your locations or the place that you want to share it with your readers, And deal for the travel bloggers who wants to show their locations on blogger blogs, In just a few minutes you will learn how to add google maps in Blogger post or page, Without any coding experience you can add the Google map to your blogger. 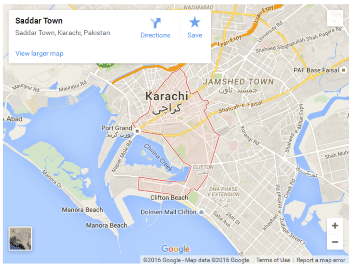 What is Google map ? Google Maps is a mapping service which provides the geographical maps, You can explore the world with Google map from your screens and you can also experience the places with Google Street View with 360 views, Google maps were invented by Jens Eilstrup Rasmussen and Google maps was 2 Technologies mapping project later google bought 2 Technologies, And in 2005 Google launched the Google maps. To add the google map to your blogger blog, You need to find the map first that you want to display on your blog, So go to "Google Maps", And search the country, City or whatever place you like to embed, Once you found the place, On the left side of your map you will see the share button click on that, Then click on embed map, Copy the Iframe codes. Now go to your blogger post and past the Iframe codes in HTML, And update it. 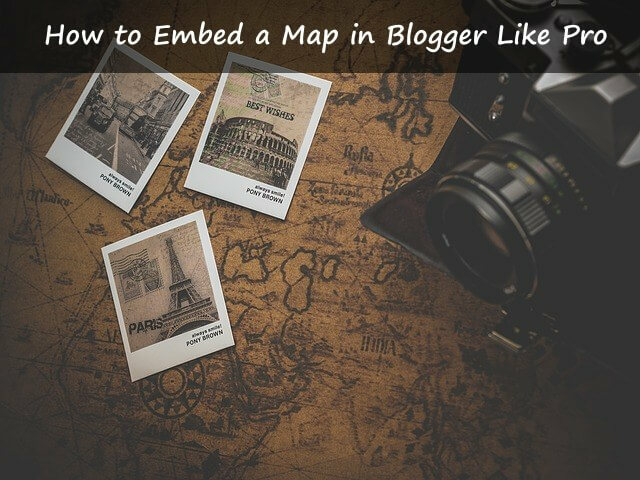 After you added the frame codes into your blogger post then you will see an embed map like below screenshot. 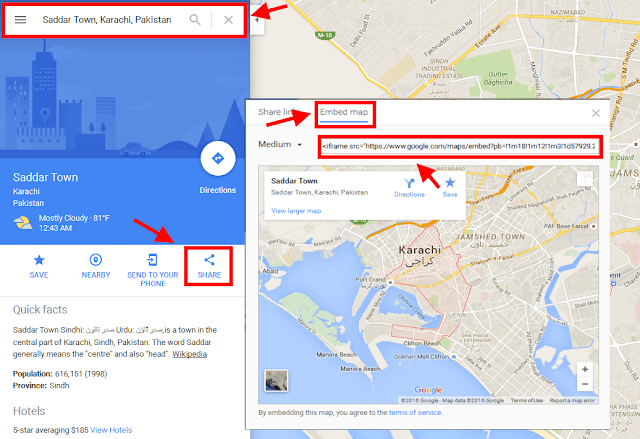 Congratulations, You just added the Google map into your blogger blog, If learn from this tutorial then show your support by Liking our social media profiles Twitter, Facebook, And also comment.